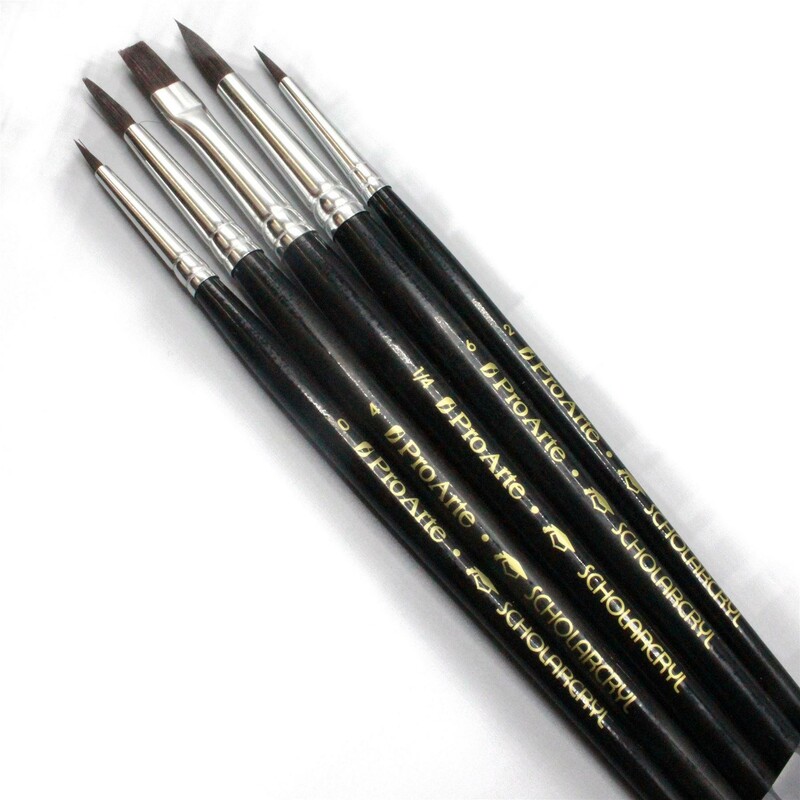 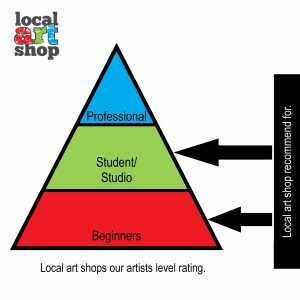 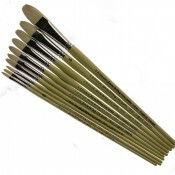 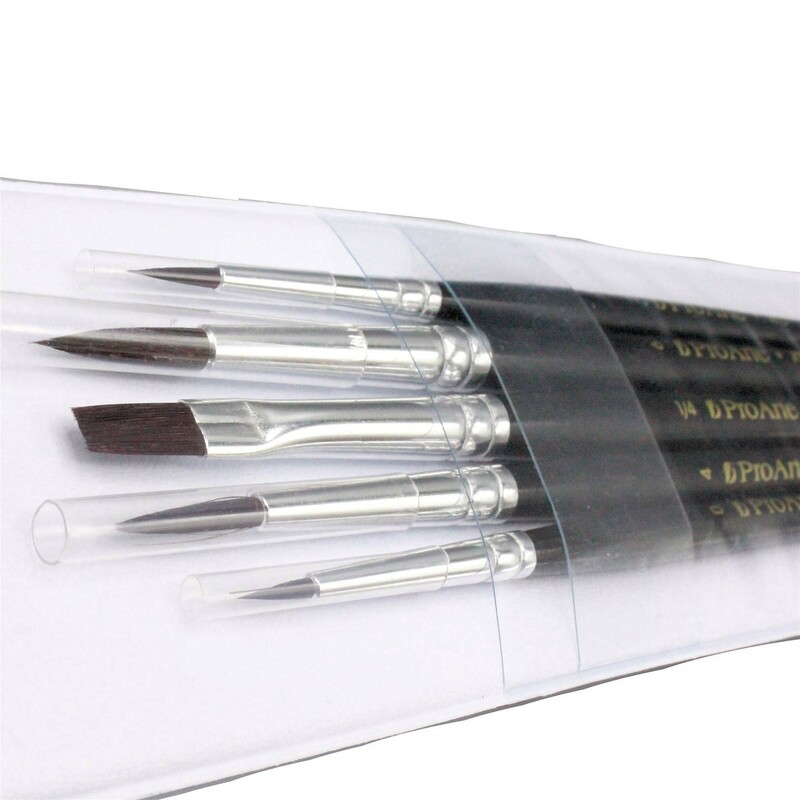 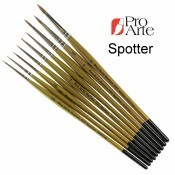 Pro Arte Scholarcryl 5 brush budget synthetic Oil Acrylic brush sets. 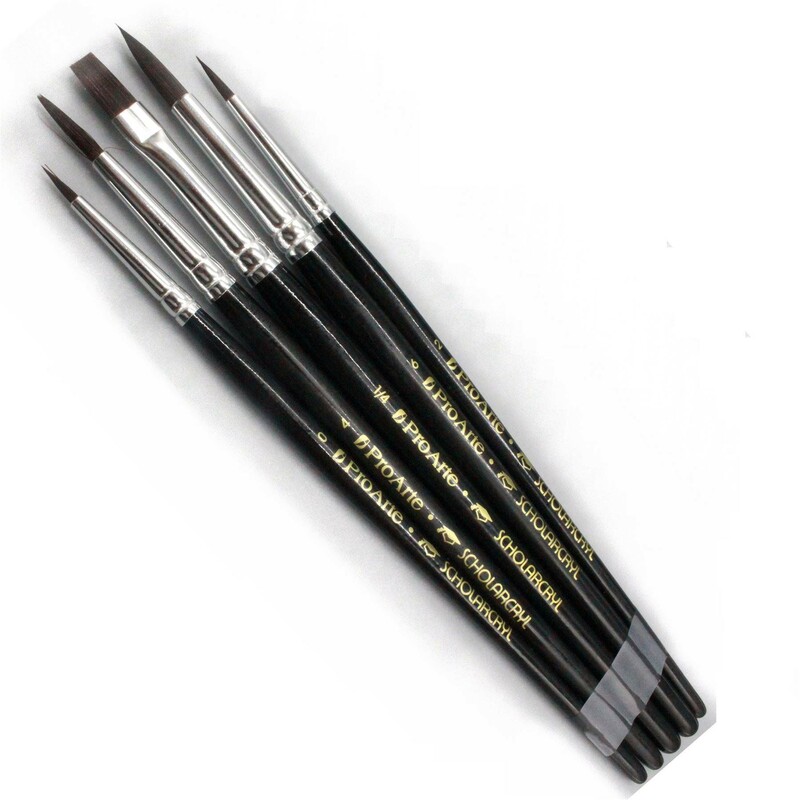 They make use of a stiff synthetic taklon hair suitable for use with heavier pigment. 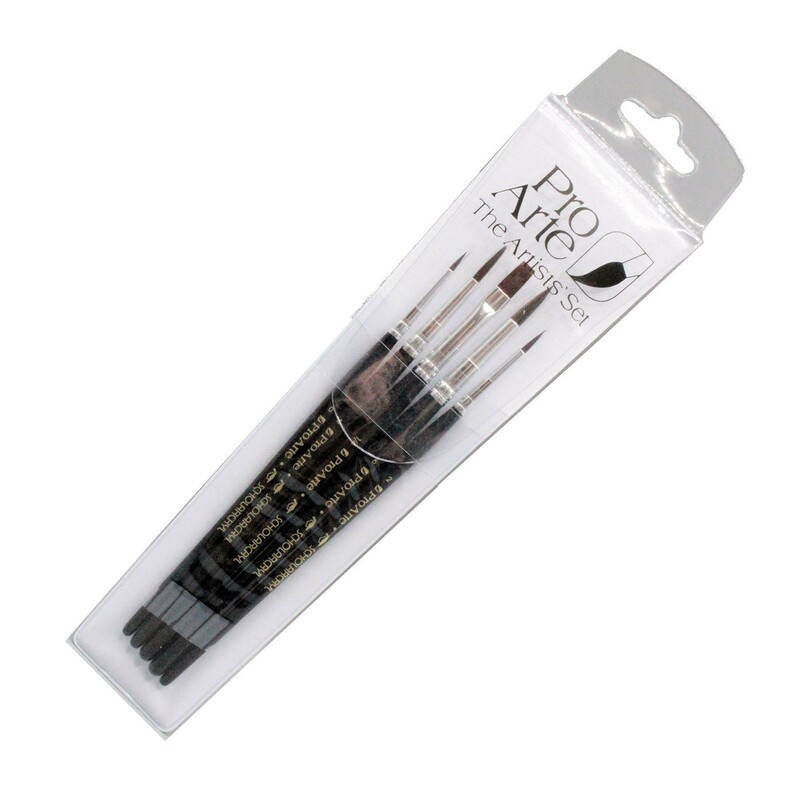 Contains: Round 0, 2, 4, 6, flat, 1/4".